NELTA Choutari had an interview with Mr Hemanta Raj Dahal, newly elected president of NELTA for the tenure 2011-2013. In the interview, he has addressed a number of questions that are directly related to institutional and professional development of NELTA, English Language teaching in Nepal, Choutari’s role in promoting ELT activities and its support to NELTA, present challenges and opportunities and many other issues. Please go through the interview, and leave your comments which can be instrumental in giving right directions to NELTA in the future. Your voice matters to shape the ways of NELTA. Please, come up with innovative ideas after reading the interview with Mr Dahal. 1. Choutari: You have been serving NELTA for long. How the organization has been instrumental in enhancing the professional skills of the teachers in Nepal? What challenges have you foreseen as it is a volunteer orgaisation and there is always a substantial expectation from the people. Also, what are the opportunities? To address this situation, what are your plans and visions so that NELTA will be able to achieve the goals? Mr. Dahal: NELTA has been providing a platform to the ELT professionals which could be instrumental to learn and let learn. The core of our modality is the exchanges of knowledge and skills on English language pedagogy not only limiting ourselves within the domestic periphery but beyond. As regards to the challenges, NELTA has grown so big and it is still growing in terms of its size and the scope. All the members are expected to contribute voluntarily. Naturally, every member has aspirations. One of the opportunities is to be able to contribute NELTA voluntarily because there are set examples that the NETLA volunteers have been better recognized by national and international institutions professionally and socially. However, what has been getting tougher is to convince the roles of the members without expecting any special individual gains. I have a strong feeling of a need to decentralize NELTA programs and activities so that every member will own the institution. Consequently, the members will explore opportunities to better qualify and meet their expectations while the institution will support their mission. 2. Choutari: What are your plans for the institutional growth of NELTA in order that it meets its goal? Institutionally, how are you planning to work with NELTA partners? To what extent the partnership has been successful for NELTA? Mr. Dahal: NELTA has envisioned to contribute for quality education in Nepal through English language as a powerful tool. Though the institution has been distinctly standing amidst the crowd of professionals and the other key stakeholders – national and international both, we have yet to build up a rapport so that NELTA will enhance not only social and moral recognition but also institutional one. It reminds me when I presented the General Secretary’s report in the Annual General Meeting (AGM) at the 16th international conference venue on 19th February 2011 when one of my key concerns for future direction of NELTA was to institutionalize it. Our partnership with other key stakeholders in ELT has been successful in the institutional level to some extent where we have been chiefly collaborating with Ministry of Education, the US Embassy, British Council and private and boarding school associations. However, we have yet to convince these communities regarding our professional expertise and the contribution NELTA can make to this country. Our institution is being expanded from Sankhuwasabha, the far eastern part to Baitadi, the far western part of Nepal where NELTA has been working through its branches. Now is the time to enhance quality within ourselves first. Our members by now have already become very receptive. Therefore, we do not have to wait for long to achieve this goal. 3. Choutari: What are your plans to develop NELTA as a consultant for the government so that education in general and English teaching in particular will be more effective and meaningful? Mr. Dahal: The 21st century has become extremely competitive in every discipline. NELTA has been working for last 17 years without any full time human resources but taking time of those professional members who have been generous, stealing some of their times either from their academic pursuit or from their jobs for subsistence, not leaving any moment for their family. Of course, this modality has one significant advantage that every member would like to look for some opportunities how he or she could support NELTA. However, we have yet to prove with our concerted effort that we are the appropriate entity so that the government will be ready to buy our expertise. NELTA has discovered that only a few of its members have been involved in research, developing manuals and materials and doing project reviews and monitoring. Moreover, we have yet to create atmosphere to bring them in a boat so that instead of working on individual basis they can join hands with the institution. We should be proud that the editorial team of NELTA journal has undergone a considerable transformation in its working modality. As a result, the journal has been peer reviewed which is worthier than ever before. However, our publications are very limited and they are mostly circulated among our members only. Therefore, the government should have very little knowledge about the strength and quality of NELTA. I would therefore encourage the NELTA family to adopt special strategies that help develop our strengths, recognition and network. As a president, I look into the opportunities how I could contribute towards this direction. 4. Choutari: How does our effort for promoting professional communication relate to NELTA’s goals and how might we be able to enhance them? Mr. Dahal: We should first establish the norms of professional communication. Communication is the most powerful tool to help break the digitally divided world. Consequently, quality of education will not be superseded by the notion of its access. To me, the professional communication has two-prongs. One is for the network and another is for sharing of the culture of developing capacity and the best practices. The more efficient is the communication, the faster is the global recognition of the institution. Again, our performance and commitments should be reflected in each and every communication. One of the ways of promoting our professional communication is learning from other organisations of similar nature, for instance, IATEFL, TESOL and Asia-TEFL. I am sure my colleagues in the central committee have better ideas in this area. 5. Choutari: Do you have any suggestions for conducting networked discussions in better ways so that branches and members can contribute better? Where do you see the present strength (academic and institutional) of NELTA to help teachers enhance their professionalism? Mr. Dahal: Despite unbearable power cut hours in Nepal, many English language professionals including the learners have started using the medium of IT. If you ask which one is odd man out in rice, vegetable, computer, lentil, yogurt, I am sure the answer will not be ‘computer’. Therefore, Wiki can be the easiest and effective means for such network. Mr Prem Phyak, the Secretary of NELTA has already initiated the design of Wiki. In my experience, many ELT professionals mainly outside the Kathmandu valley would like something specific that how to teach particular content from their courses. Our Wiki modality then should address the expectations of the ELT community looking for resources so that the benefit of our effort will go to the real learners of English. 6. Choutari: Choutari is a volunteer mission that works as per the core missions of NELTA, for which it is cost and labor free; but Choutari’s organizers would greatly benefit if NELTA could help us promote the forum through its existing communication mechanisms. What could be, for example, one significant way in which NELTA can help us in increasing our reach, readership, and involvement where there is more limited access or recognition of professional conversation? Mr. Dahal: I am sure the Choutari involves a lot of cost if we convert our colleagues’ valuable time and use of their brain. It is free only because they have sponsored it. This is one of the most striking issues at the moment. I would recommend to motivate more and more contributors to the NELTA Choutari mission and also to disseminate it more widely. Some of the modalities I could suggest are to link Choutari to the NELTA website and also request the British Council, the US Embassy, TESOL and IATEFL to link to their websites as well. Moreover, it would be very exciting to publish it as a booklet or bulletin form either on regular basis or occasionally as an special issue. We can then receive feedback from the readers. Consequently, we will have better opportunity to learn what our readers want. 7. Choutari: We have got good support from NELTA in the past. How do you plan and intend to support Choutari as NELTA’s new President? Do you have any new ideas as per your presidential vision as our new leader? Mr. Dahal: I have a feeling whether we did a proper justice to NELTA Choutari in the past. I am always aware that Bal Krishna Sharma and Shyam Sharma in the US and Prem Phyak, Kamal Poudel, Hem Raj Kafle and Sajan Karn in Nepal have been rigorously contributing to bring it out. They deserve special recognition from NELTA. Now is the time NELTA has to disseminate the core value of the Choutari mode of professional development. I would like to support the Choutari team to make this noble work more visible among the ELT communities and heighten the level of ownership of NELTA members. I would expect the Choutari materials to be combination of some theoretical notions with more practical tips, professional reflections of the members and the guest contributors and the best practices in ELT. I can see the opportunity to forge partnership and collaboration with other similar sort of network and agencies so that quality of this e-platform can be enhanced. Thanks for posting the interview with the new president of NELTA. There are important observations here. But can I make a small suggestion? If the interviewer or editor (or the president himself) edited the text before posting, it would help the reader a lot. As it stands, too much awkwardness, repetition, etc. inhibits reader’s comprehension. Just a reader’s 2 cents! Two specific points in the President’s interview stood out for me: first, the idea of promoting quality education in Nepal by using “English language as a powerful tool,” and second, the idea that NELTA should/will develop a framework for networking whereby its individual members at the grassroots level can directly contribute/share ideas and thereby take/feel ownership of the organization as well as their own professional development initiatives. I think that it is very important that NELTA and its leaders and members see English language teaching as the means to a larger end, and not an end in itself–and that end, as Mr. Dahal says, should be quality education. I also think that it is very important that NELTA provide its members the means and mechanisms for them to actively participate in learning, sharing, building resources, and pursuing professional development without having to wait the “experts” to do it for them. I look forward to seeing and supporting Prem’s wiki-based project for promoting on networking and resource building by NELTA branches around the country. Thanks to Hemanta Sir for a very thoughtful and inspiring interview–and to Kamal Sir for conducting it. As far as I understood, president’s intent of spreading NELTA is no different than previous NELTA president. It is said that burning candle emits the light. Let’s see how he activates the life members like us! The interview is a good read,very informative too. The induction of Wiki is an approach to prove Nelta’s efficiency. The ELT community and all teachers of English will reap the benifit of ELT advancement. The dream to collaborate Nelta Choutari in partnership with other similiar network and agencies will pave the way of this e-platform go global. All the best for Nelta Choutari and NELTA !! 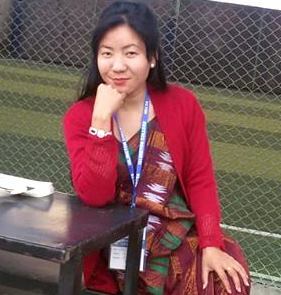 I am very pleased to read your interview through Nelta Chautari. Chautari has worked as setu to connect we general readers and Nelta. You have very nicely talked about professionalism, justice, equality and equity, access, undiscrimination, unpolitcalisation. Thank u for expressing such ideal words, but only in theoretical, not in practical. Because we only get such occasion of getting professionalism only once a year. I have a dream of getting involved in giving training volunteerly, but it needs special course of training. Would you provide me such training so that I also can give training. I wish your tenure would get success. As the president Dahal says, “I have a strong feeling of a need to decentralize NELTA programs and activities so that every member will own the institution.” Of course, it is high time NELTA decentralize its programmes and opportunities. This will also help the association getting transparency among its branches. This will enhance the capacity of the branches, which will later be able to organize mini/regional conference. The interviewee adds, “We have yet to convince these communities regarding our professional expertise and the contribution NELTA can make to this country.” It is time for all the members of the organization to excel in convincing the communities to inform about our professional expertise and their caliber. I found newly elected president of NELTA Dahal a visionary leader. He talks a lot for promoting activities of NELTA for enhancing professional development in Nepalese ELT and increasing the readership and circulation of the professional blog. Let’s hope the president’s words would be translated into action during his tenure. All The Best, Mr Dahal! Our best wishes to implement your promissing plans. I do not know, can we have Nelta calendar?